As long time veterans of the trucking business, we share information, advice, tips and give our honest opinions on related interests and issues, based on our 40 years experience in the industry. Our mission is to share our passion for trucking and support the trucker, by providing the key players in this business with the tools and skills they need for ongoing career success. We’ll provide help to survive and thrive in the industry and excel in your driving career. WATCH THIS SHORT VIDEO ABOUT OUR EXPERIENCE IN THE TRUCKING INDUSTRY. A Career Guide for New Drivers — Tips, advice, step-by-step skills and techniques, how to’s, information, articles, videos especially for the newly licensed trucker: a reliable and valuable go-to resource. Life as a trucker: on the road and at home. Our Available CDL Job Openings — Company Driver positions, CDL Driving Jobs with Training and Owner Operator positions. Owner Operator Career Guide — For the trucker entrepreneurs of the industry, in-depth articles, videos and discussions aimed at truck ownership and the business aspects. CDL Driving Jobs — Tips and advice for finding a company to work for, what niches pay well, different types of trucking jobs: general freight, flatbed, produce haulers, tanker jobs, teams. Review of Carriers. Truck Driver Training Schools — Info and insight into the company sponsored CDL schools and the private truck driving schools. Big Rig Guide — Reviews, pictures of many makes and models. Engines, tires, spec’ing tips, new vs used equipment, LCV’s, Australian road trains and truck repair tips. Our Blog — We aren’t afraid to step up to the plate and challenge the rules and regs which cross the line of a trucker’s rights to make an honest living and be paid a decent wage. A website for truckers just doesn’t cut it unless there’s photos of really cool iron! Our photo galleries are wildly popular, featuring many makes and models from our archives, truck show visits and trucker submissions. We feature Petes, Macks, cabovers, Kenworth, Freightliner, Western Star, International, Volvo, custom show trucks, older model rigs, classic model, restored big rigs, vintage models and much more. 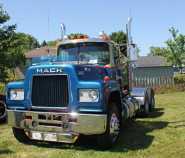 Old Big Rigs — Photos and stories of the beloved older model semi trucks: B61 Macks, R Model Macks, Diamond Reo, antique big rigs, old Internationals, classic models and more. Peterbilt — The iconic Peterbilt. 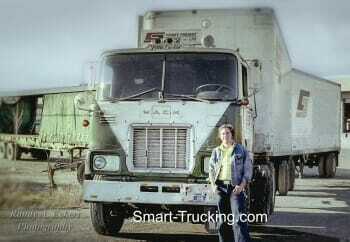 Photo galleries, articles, videos and driver comments on one of the hottest makes of trucks ever to travel the highways. Feature models: 359, 379, 389, 377, and 352 and 362 cabover Petes. Kenworth — Another popular rig, the K-Whopper. 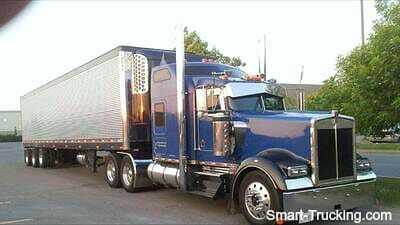 Reviews, articles, pictures collections of the Kenworth W900A, W900B, T800, KW cabovers. Cabovers — The cabover returns! These old school big rigs are making a strong comeback as working-class trucks and customized for shows. 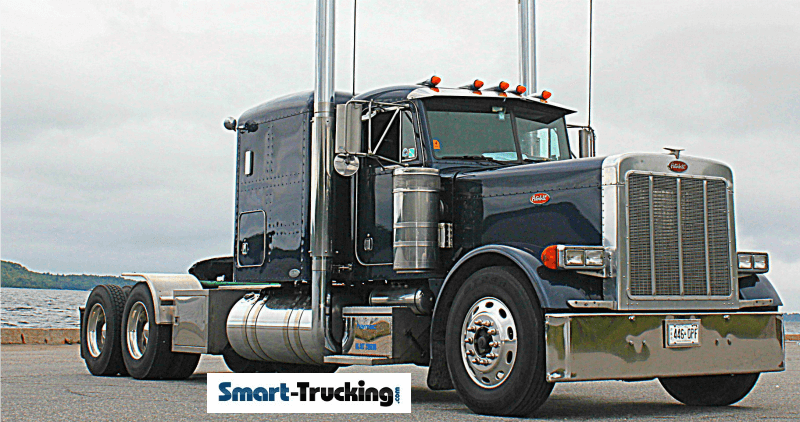 They are gaining tremendous momentum and popularity with truckers in the past number of years.